Councils need to do more to encourage parents to turn their engines off outside schools and prevent harm caused by air pollution. That’s according to guidance published this morning by the National Institute for Health and Care Excellent (NICE), which suggests fines should be handed out to drivers of idling vehicles outside schools, hospitals and care homes. The health organisation says children and elderly people are at high risk from air pollution, and ‘no idling’ zones should be introduced across the country in a bid to tackle the crisis. 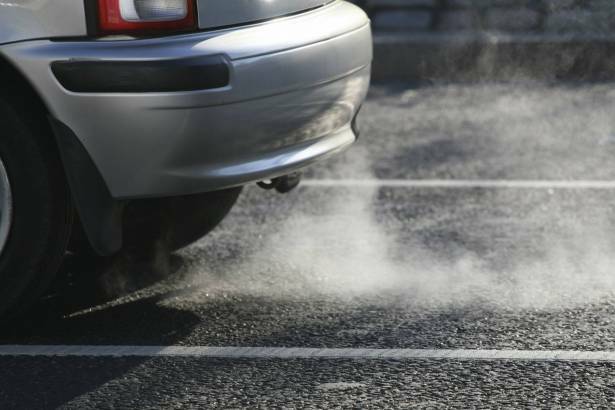 This means councils could follow the lead of Westminster City Council, which already hands out £80 fines to drivers who leave their engines running while parked. The proposals are backed by the RAC, which says schools should take responsibility for encouraging parents to turn their engines off while waiting for children. “We welcome the principle of no-idling zones, especially outside schools, hospitals and care homes,” said the RAC’s roads policy spokesman, Nick Lyes. “No one should have to suffer dirty air as a result of a driver leaving their engine on unnecessarily. Sadly, many drivers don’t realise the harm they are causing by doing this. NICE also advises planting more pollution-absorbing trees in urban areas, as well as encouraging the take up of electric cars. It also says motorists should be educated on how to drive economically, and encouraging cycling rather than driving. Public Health England estimates long-term exposure to air pollution in city centres could contribute to 25,000 deaths a year in England.